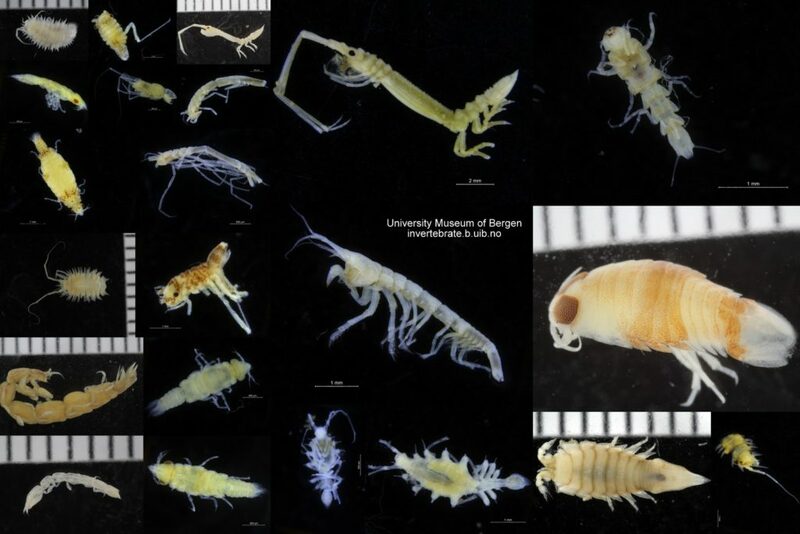 It certainly does not take a great leap of imagination to get from these Isopoda collected by the MAREANO programme to various science fiction monsters! 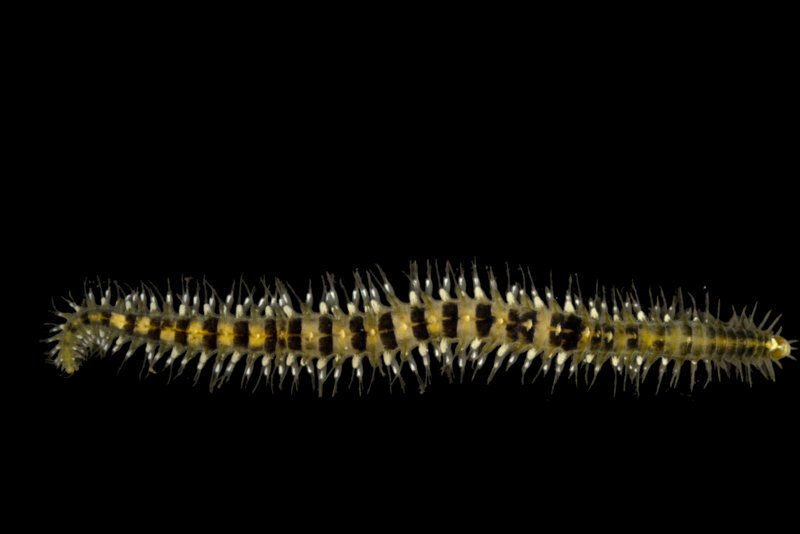 I just completed photographing and tissue sampling 95 specimens that will be submitted for barcoding through NorBOL – we’ll send them to the CCDB-lab in Canada for sequencing, and upload the metadata and sequences in the BOLD database – fingers crossed for successful sequencing! 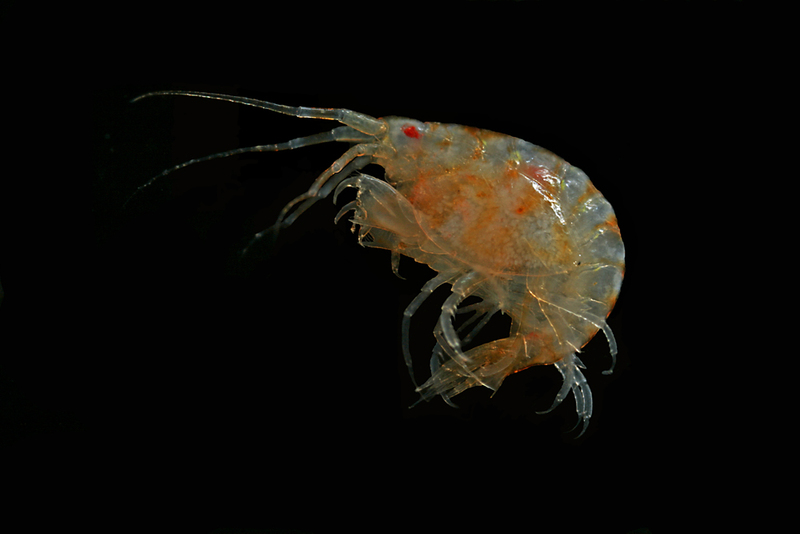 This entry was posted in Crustacea, Current projects, MAREANO, NorBOL, Photography and tagged barcoding, isopoda, MAREANO, Norwegian Barcode of Life on April 4, 2017 by katrine. 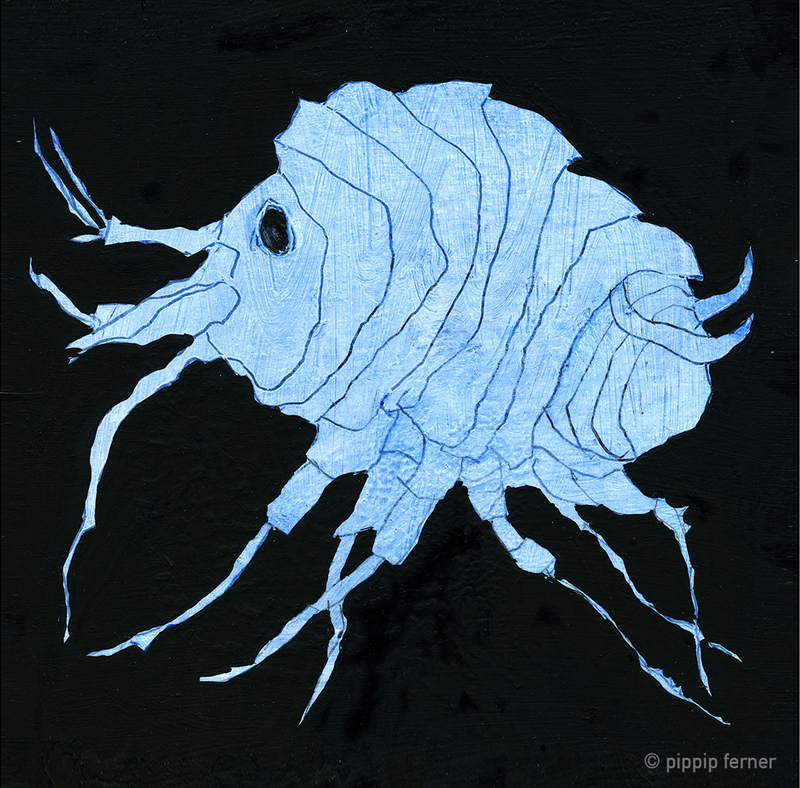 What does an organism really look like – and how does that organism make us feel, what thought does it inspire, and what beauty is hidden within their complex structures? Anne Helene and Pippip look at the same organsims, but from different perspectives. 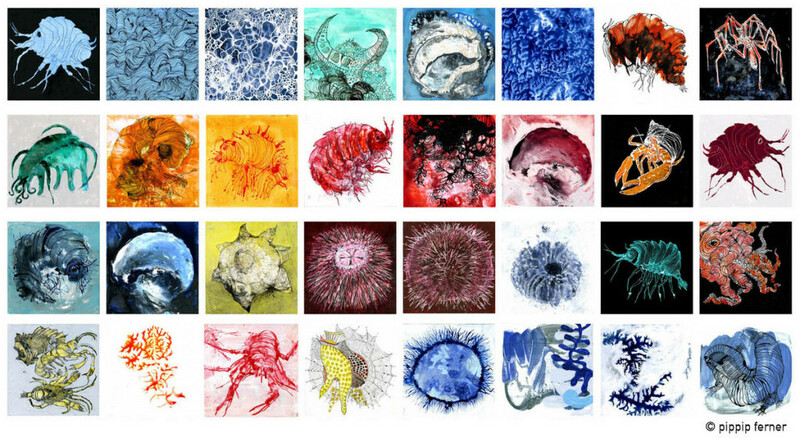 Anne Helene works as a scientist at the Invertebrate Collections and Pippip Ferner is an artist who is very inspired by marine biology and marine organisms in her work. As biologists we have the privilege to see many of the wonders of nature up close as part of our job. But how can we share that with the rest of you – all of us who didn´t go to that cruise, or don´t study that exact organism? Historically, artists used to be part of most large projects – as documentarists. This tradition still stands, but now it is often the scientists that make drawings of what we see, and often more importantly: what details are the important ones for the scientific studies. Where does the pure artistic (non-documentary) work fit now? Pippip´s long interest in marine biology has lead to her participation on a scientific cruise with MAREANO, where she met Anne Helene. Being on a cruise and observing animals live, talking with the scientists and see (part of?) what they see lead to a series of sketches that resulted in many paintings, sculptures and prints. 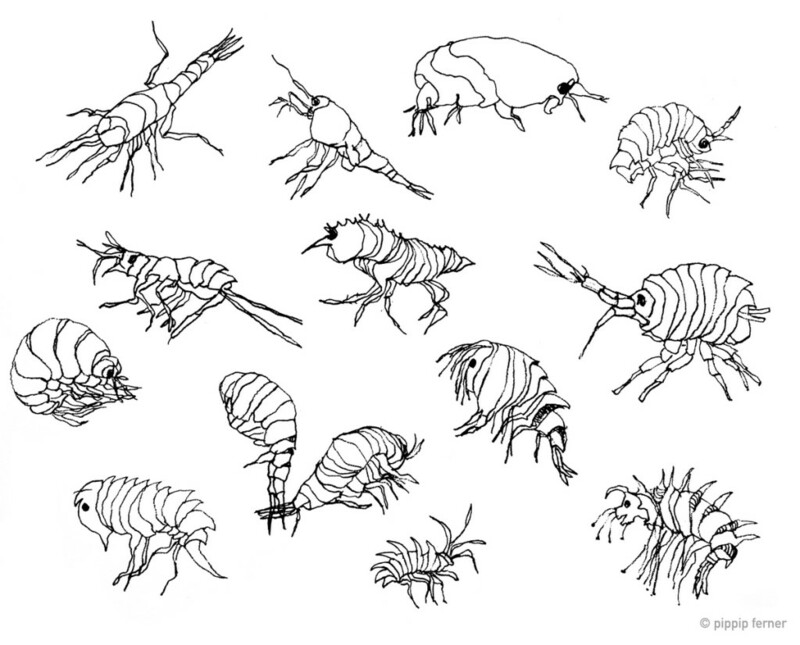 Amphipods by Pippip Ferner. Ink on paper. © Pippip Ferner Want to see more? She wants to look at the marine biology from a non-scientific view point, to look at details or whole organisms and see new shapes and explore textures. Where the scientist has to stick to the strict morphology of the organism, Pippip can look at what is not seen. Here are some of Pippips examinations of amphipods – and some photos and scientific drawings of some amphipods that might have been inspiring her. In Pippips own words, she aims to “ contrast beauty against ugliness, weak against strong, small againt large.” This might make it both easy and difficult to recognise her objects, and her pictures might be both simple and complex at the same time. Much of our scientific work is to observe minute details in our chosen organisms. 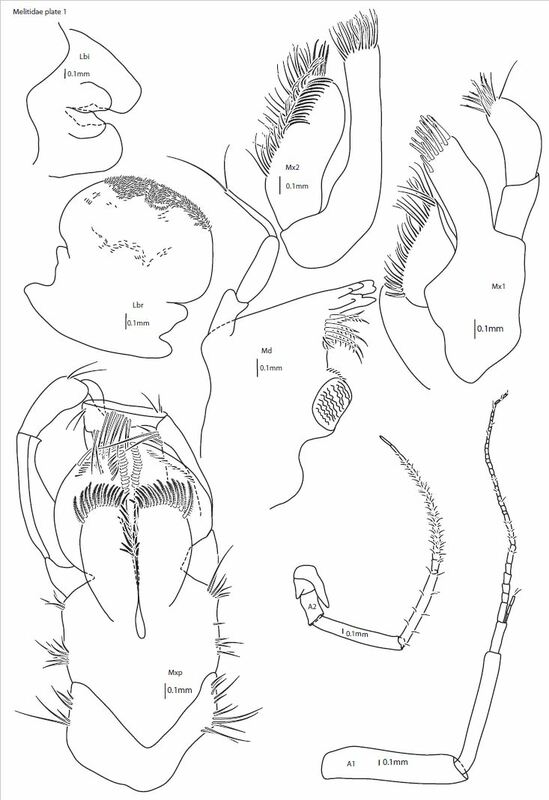 Looking at amphipods scientifically means looking for serrations along curved ridges, counting small hairs (seta) and seeing if they have split ends, looking at shapes of mouthparts and lengths of feet and antennae, and documenting this with photos and drawings. Having the luck and joy of seeing these same organisms represented artistically can give an added dimension to our work. It also gives the possibility for all the rest of you to get another gate to come in contact with our organisms through. Maybe taking both views into account will help us learn and understand even more? The scientific and artistic views can supplement each other, and have been doing so already for generations. The collaboration between Pippip and Anne Helene continues – yesterday Pippip visited the Invertebrate Lab, to get new ideas and inspirations for further artistic examinations… We are sure more beautiful, inspiring and maybe provoking representations of marine life will continue to come from this collaboration. Be sure to follow us! 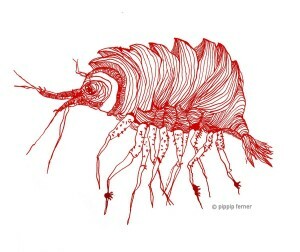 This entry was posted in 2015 december calendar, Crustacea, Current projects, Guests, MAREANO, Photography and tagged art, illustrations, MAREANO, natural science, pippip ferner on December 17, 2015 by katrine. 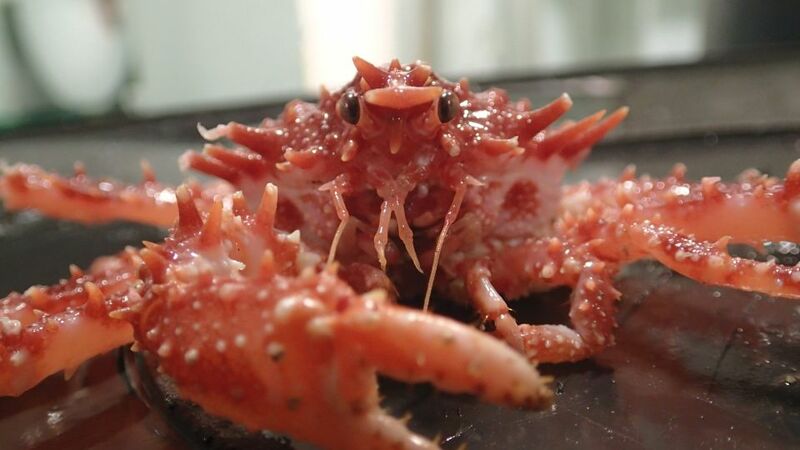 Today’s critter is a Lithodes maja, or Northern stone crab (Trollkrabbe in Norwegian). They live in depths between 80-500 meters, where they feed on algae, bottom dwelling animals, and of scavenging. They are much smaller than their relatives the King crab (Paralithdodes camtschaticus), reaching up to 150 mm across the carapace. 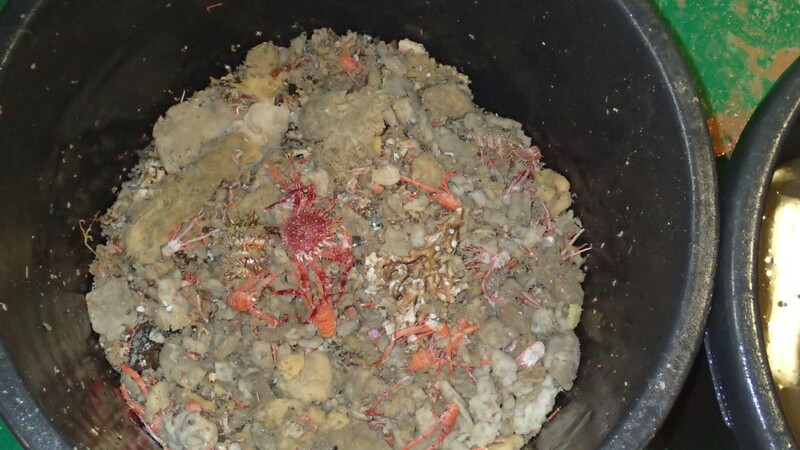 Martin encountered this one when participating on this year’s final MAREANO survey in the Barents Sea. 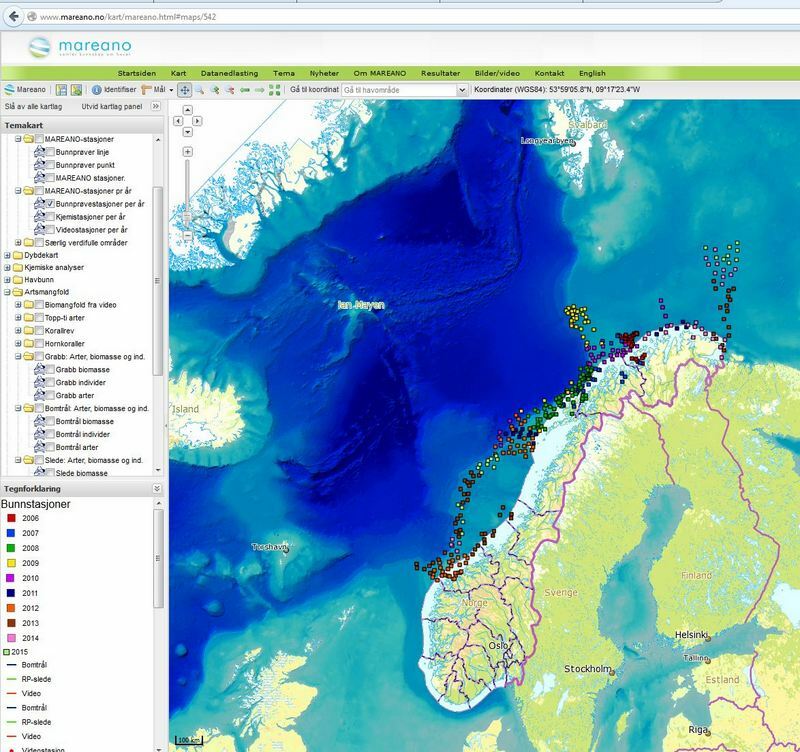 MAREANO has been working on mapping the depth and topography, sediment composition, contaminants, biotopes and habitats through a combination of video stations and physical sampling of sediments and animals in Norwegian waters since 2006. A cruise typically lasts between 10 and 20 days, and for most years MAREANO has had 2-3 cruises. The amount of stations and collected material is staggering! Below is a map over the “full stations”, the stations that also include physical samples of biological material from grab, sled and trawl. These samples are split into fractions, some to be further processed by MAREANO, whilst others are bulk fixated without further analysis. The MAREANO-identified animals and unsorted fractions from these stations are deposited at the University Museum once MAREANO is done with them. We then continue to process them; decide which samples are significant, sort the unsorted fractions, implement material into the museum collections, and make it available for further research. For the interactive maps, go here. Screenshot from mareano.no showing the bottom stations per year. This entry was posted in 2015 december calendar, Current projects, Field work, MAREANO, Photography and tagged lithodes maja, maps, MAREANO, stations on December 10, 2015 by katrine. 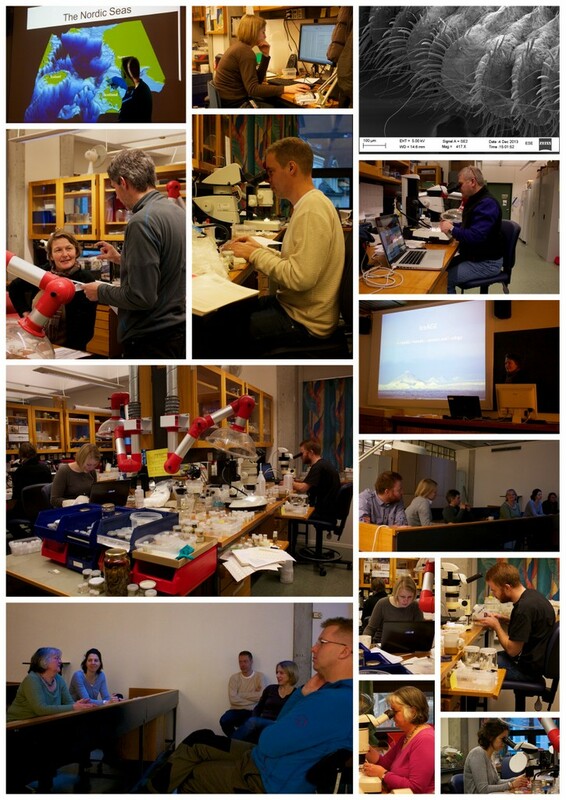 Our lab is currently brimming with polychaetologists (those working with the polychaeta, the bristle worms), as we’re in the middle of this year’s PolyNor workshop (Polychaete diversity in the Norwegian Sea). We have eleven participants (five nationalities) here, and all are working hard to assign names to animals, fill up our lists of material to be cataloged into the University Museum’s collections, accumulation data for their own research projects, and selecting material suitable for barcoding through the NORBOL-project. 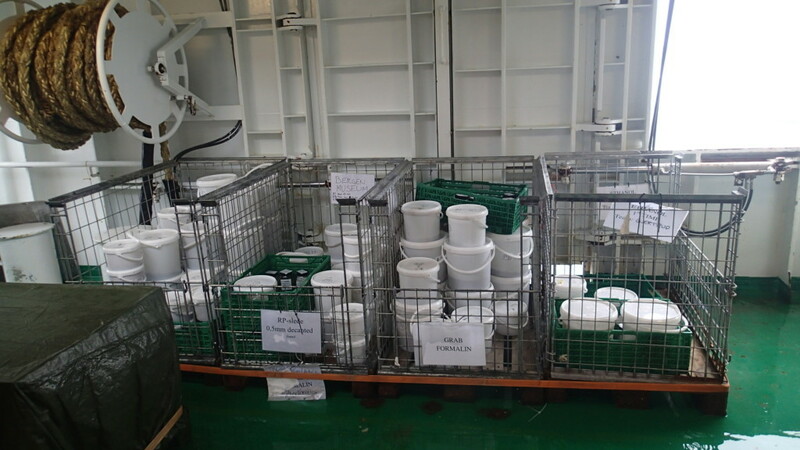 The majority of the samples that we are working on have been collected through the MAREANO-programme, but we are supplementing with material collected around Bergen, closer to the coast and into the fjords, and material collected around Svalbard. 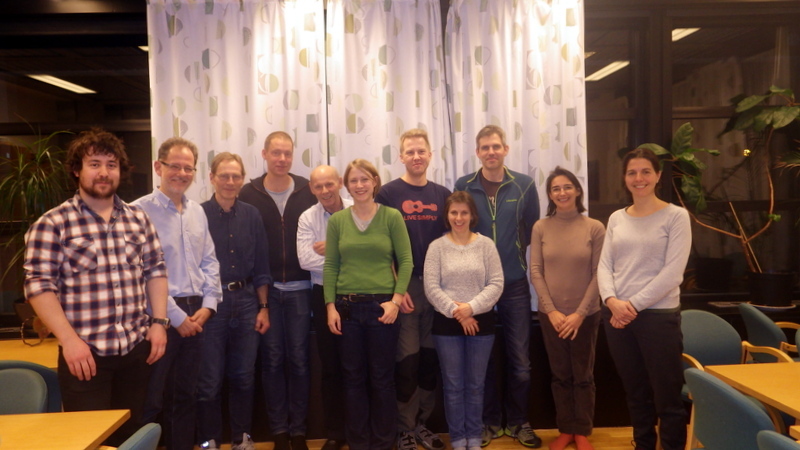 This entry was posted in Current projects, MAREANO, NorBOL, PolyNor, Workshops and tagged børstemarkdiversitet, MAREANO, NorBOL, PolyNor on November 26, 2014 by katrine. 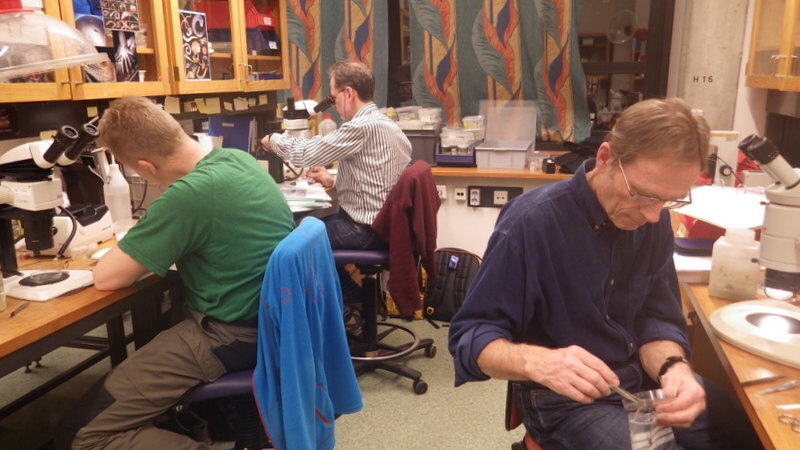 This week our lab is teeming with activity as twelve researchers goes to work on our polychaete material, focusing mainly on that which has been collected by the MAREANO program. As mentioned previously, the material collected by MAREANO gets split into size based fractions, which then receive different treatments. As far as the polychaetes go, MAREANO carries out routine identification on what is collected by grab (1 mm) and beam trawl (5 mm), all of which has been fixed in formalin (until this year, where it was begun fixing half of the beam trawl in ethanol). Thus we already have some idea of what to expect to find in the material. At the Invertebrate Collections we have processed a lot of bulk samples from the fractions that MAREANO does not utilize, and lately we have especially focused on the Ethanol fixed material, as this can be used for genetic work. 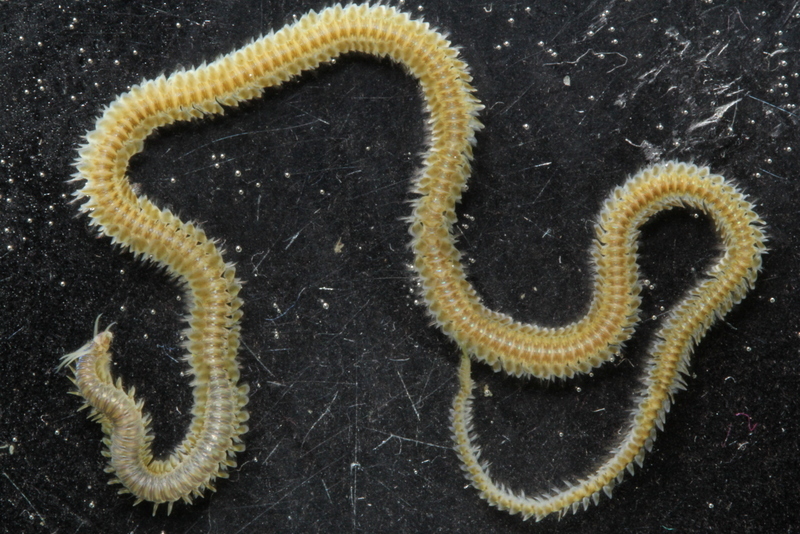 The Norwegian Sea holds a diverse fauna of polychaete worms, more diverse than previously anticipated. 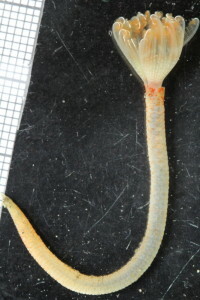 Recent work has discovered several new species and species described in the old literature but not seen since their description, has been rediscovered. 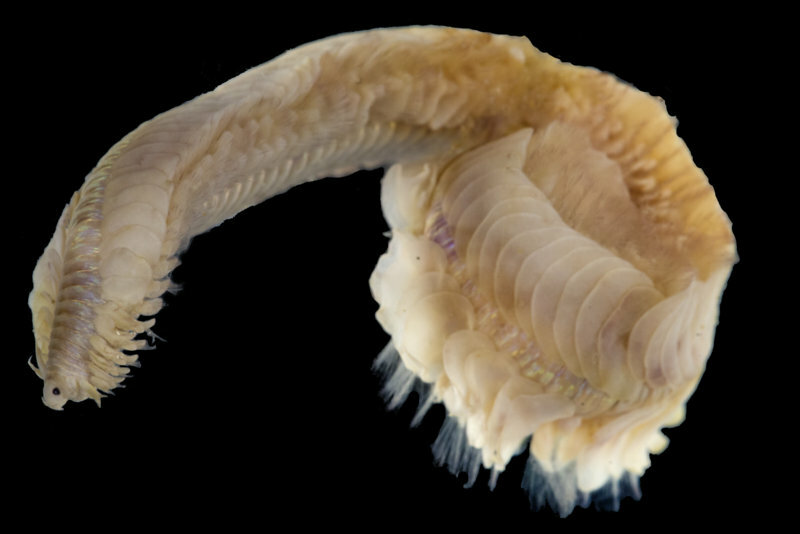 Material from new samples will be targeted to discover the true diversity of polychaetes in the Norwegian Sea. 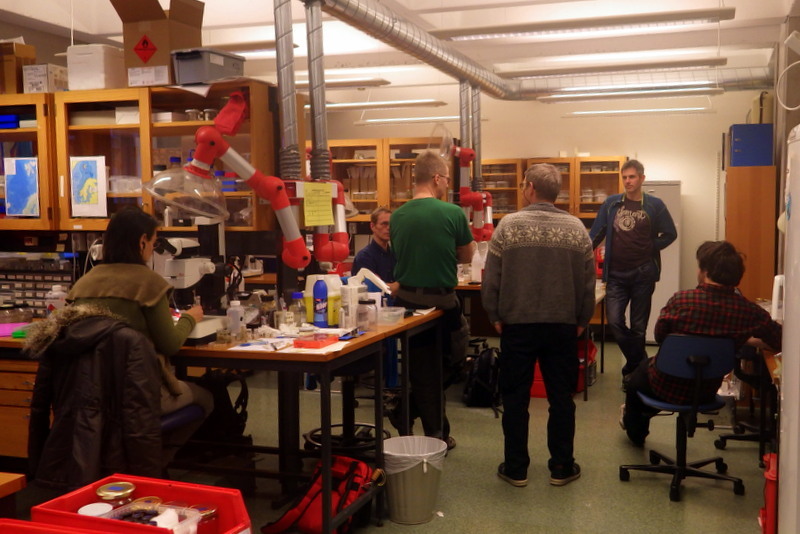 During the workshop we will work on some of the groups with especially tricky taxonomy, prioritizing the identifying of specimens fixed in ethanol, and select individuals that are especially suited for genetic work. And of course we will also discuss current topics, find and reconnect with collaborators, drink an unholy amount of coffee, and learn some new things! 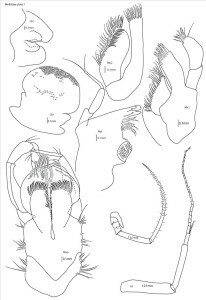 This entry was posted in Current projects, MAREANO, PolyNor, Workshops and tagged MAREANO, Polychaete diversity in the Norwegian Sea, PolyNor on December 4, 2013 by katrine.